Fun fact: The posters were taken by Chen Man, currently the most sought after fashion photographer in the entertainment industry. Chen Kun is returning to drama land in a big way – he confirmed a republican espionage drama as his first comeback project, and has now signed on as the male lead in The Rise of Phoenixes 凰权·弈天下, the drama adaption of Tianxia Guiyuan‘s novel of the same name. Since the title now includes the male lead’s name, I’m assuming the role will be much meatier than it was in the original. 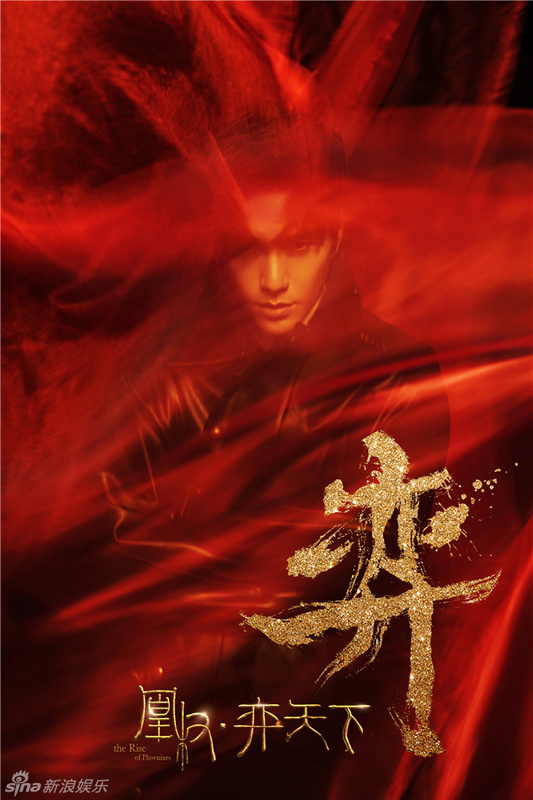 Chen Kun plays Ning Yi, a calculating prince who hides his ambitions behind a carefree personality. Female lead Feng Zhiwei is introduced as the unfavoured illegitimate daughter of the Qiu Family, who is then banished from the clan after being falsely accused of a crime. Zhiwei cross dresses as a man to attend the prestigious Qingming Academy, and stuns the world with her talent and knowledge. She remains loyal and honest to the reigning Emperor during the princes’ fight for the throne, yet soon finds out she is the only surviving royalty of a fallen kingdom. Manipulated into thinking that the current dynasty was built upon the corpses of her loved ones, Zhiwei ultimately decides to take revenge against her enemies, including her lover Ning Yi. Directing is Shen Yan (Chinese Style Relationship), and the script was penned by Tianxia Guiyuan and two other internet novel writers Zou Yue (Schemes of a Beauty, Beauty at the Crossfires) and Wang Pei (I Am Not A Demon). Cameras will begin rolling early next year. This entry was posted in Drama, Mainland China and tagged Chen Kun, The Rise of Phoenixes by XDramasX. Bookmark the permalink. I quite liked the books and I can picture Chen Kun as the male lead so not a bad choice. I thought they announce the female lead as Liu Tao ages ago when the drama was in pre-production (like last year or early this year)? These posters are why we have words like sublime. Yay! Hope they announce the female lead soon.